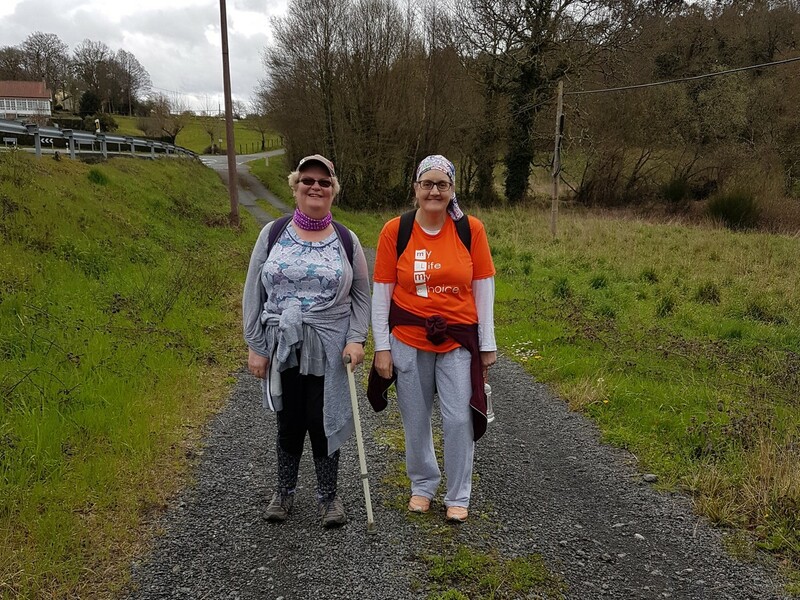 On 11 April MLMC members Gina and Dawn flew to Spain with MLMC staff member Jess to walk the Camino de Santiago for the last few days of the Camino LB. 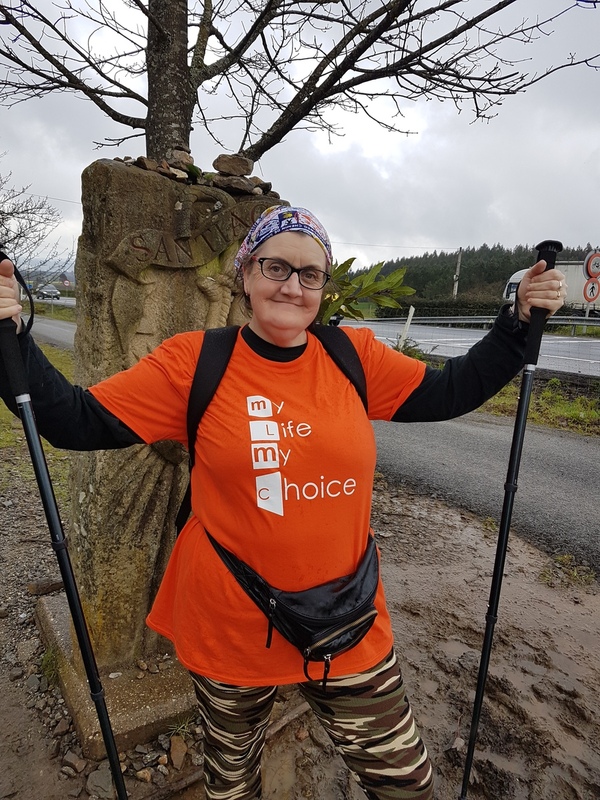 The Camino LB is a walk to remember and celebrate the lives of Connor Sparrowhawk (also known as Laughing Boy or LB), Danny Tozer, and others with learning disabilities that have died preventable deaths in the UK. 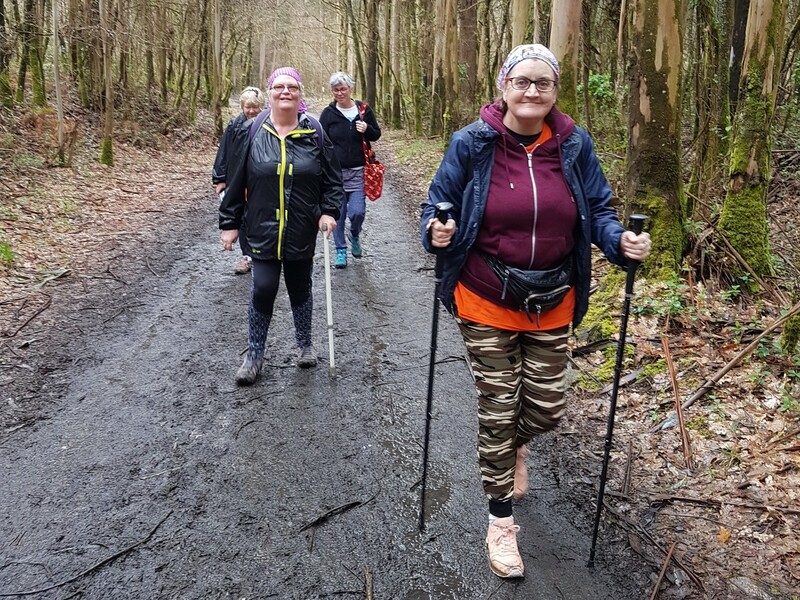 Some of the members were talking about it and I thought, “Yeah I’d like to do that.” I was already doing a lot of walking – I often walk from where I live in Littlemore into Oxford city centre – so I wasn’t worried about the distance so much. But I was nervous about flying and about the money being different in Spain. I already knew Sara but not any of the other people, but they were all really nice and made us feel very welcome. I really enjoyed the trip but it was hard work – it felt like even my bones were hurting afterwards! When we felt tired we started singing. We kept everybody going I think. I hadn’t been to Spain before. I thought it was very nice but it was raining for most of the time we were there. When we were walking I took loads of photos because it was so beautiful. We walked 40km in 2 days - I felt proud of myself for that. I would definitely do it again! I even told my sister that. I had such a great time walking the Camino last year that I wanted to go back. Last year the Justice for LB campaign crowd funding for some of us from MLMC to go, but this year I saved up my earnings from being a consultant and paid for myself. It was good to show Jess and Gina what it was about. 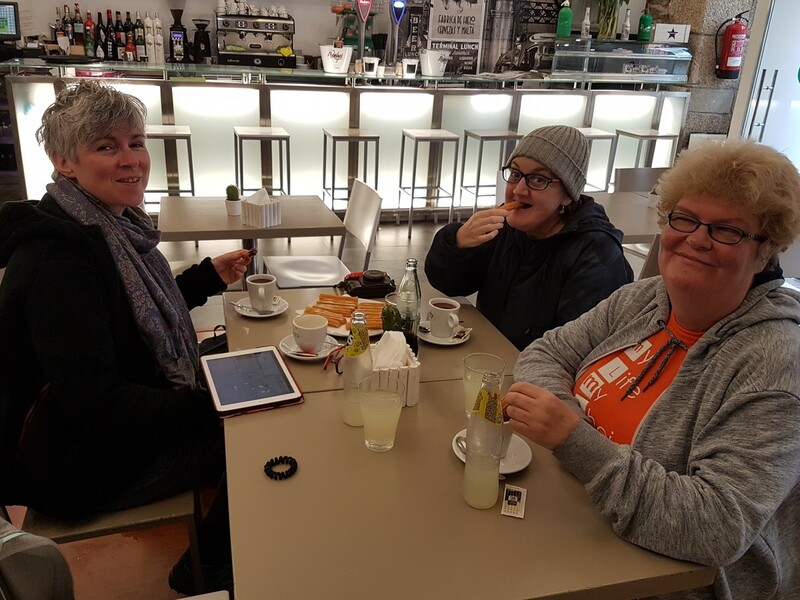 Walking was such a good achievement – we did 40 km in 2 days! Most of the time it rained, and every time the sun came out we sang Here Comes the Sun. The others called us the Camino choir. We face-timed the office to talk to everyone back home. Alicia gave us all a book, and we wrote messages and stories to each other. We gave a present to Henry, Alicia and Sara to say thank you for hosting us. I tried lots of new food. I’d never eaten octopus before but it was quite nice actually! I also had churros for the first time. They came with chocolate in a mug but it was too thick to drink. We walked up loads of stairs - my feet still hurt! It was really good - tiring but definitely worth it.